Jenna Bragg, a fourth-grade student in Meghan Nocella’s and Amanda Kelly’s class at Nathaniel Woodhull Elementary School, raised $270 for the ALS Ride for Life. L-R: Back Row - Meghan Nocella, 4th-grade teacher; Heather Herrmann, Assistant Principal; Kristin Macukas, 5th-grade teacher; Monica Corona, Principal; students Jenna Bragg and Kenneth Harkin; Chris Pendergast, Founder, ALS Ride for Life; students Jada Robles and Isabella Mitterando; (sitting) students Mary Duenzel, Joaquin Perez and Brendan Bertos. Shirley, NY - March 2, 2016 - Jenna Bragg, a fourth-grade student in Meghan Nocella’s and Amanda Kelly’s class at Nathaniel Woodhull Elementary School, raised $270 for the ALS Ride for Life, an organization with a goal to “strike out” ALS and provide services to those battling the disease. Jenna became inspired to help out after attending an assembly with Chris Pendergast, Founder of the ALS Ride for Life, and decided to sell handmade bracelets at her mother’s job for $2 and $3 each. Nathaniel Woodhull Elementary School, a longtime Ride for Life supporter that welcomes the group along their trek every spring, was recently recognized by the organization for being one of a select group of schools that raised more than $1,000 in 2015. Much of that money donated by the school community will go toward research for this fatal disease. Funds are also used for essential services for those suffering from ALS including the purchase of two more handicapped vans for the organization’s patient loaner fleet. The Ride for Life also just funded two DNA investigations at the Cold Spring Harbor Laboratory and operates the ALS Clinic at Stony Brook Medicine. 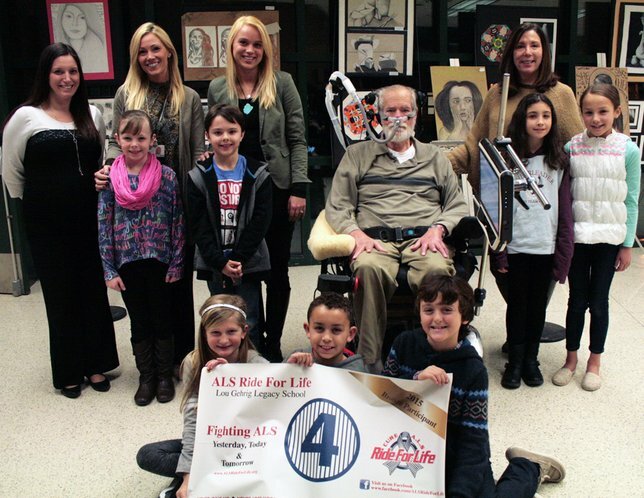 Subject: LongIsland.com - Your Name sent you Article details of "Nathaniel Woodhull Fourth Grader Raises Support for ALS Ride for Life"